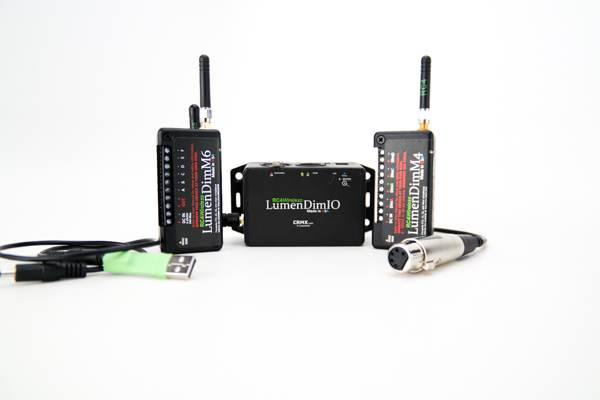 Pixel string control in costumes and small props using the LumenRadio CRMX platform is easy with a single RC4 LumenDimIO and two RC4 LumenDimPix units. 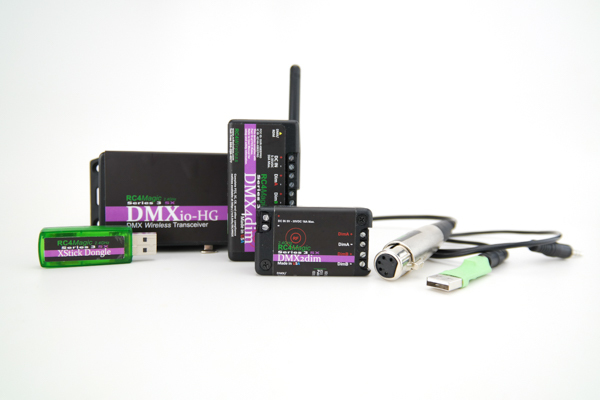 These devices are 100% compatible with all CRMX-equipped devices from any brand. The RC4 LumenDimPIx is a tiny wireless DMX driver for pixel LEDs. 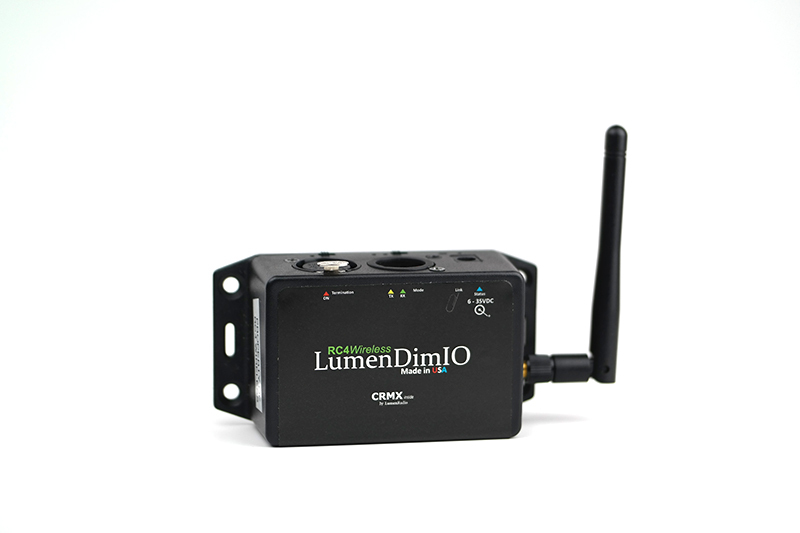 The LumenDimPix enables designers to create beautiful effects quickly and easily while using fewer DMX channels with Patent-Pending RC4 Custom Pixel Profiles. 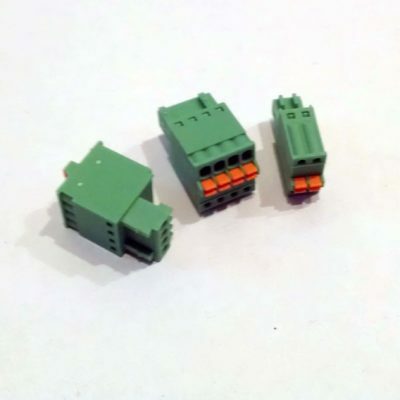 Phoenix Connectors for RC4Magic DMXpix, RC4Magic-900 DMXpix or RC4 LumenDimPix. 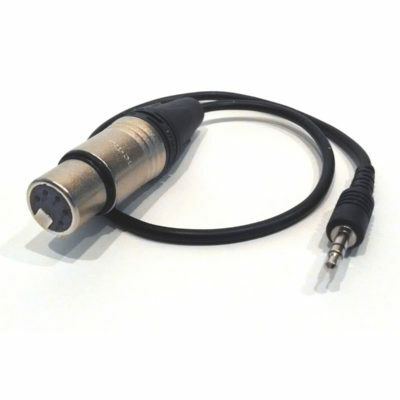 Wireless control of pixels in costumes, small props and set pieces, without a media server. 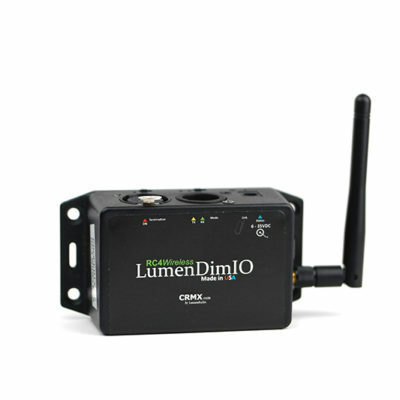 It’s fast, easy, affordable, and compatible with all LumenRadio CRMX-equipped wireless devices by any brand. 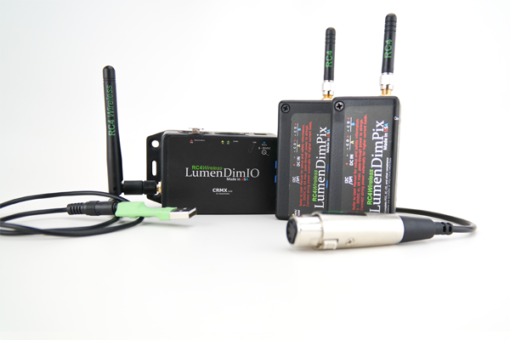 The RC4 LumenDimIO wireless transceiver can be configured as either a transmitter or receiver. 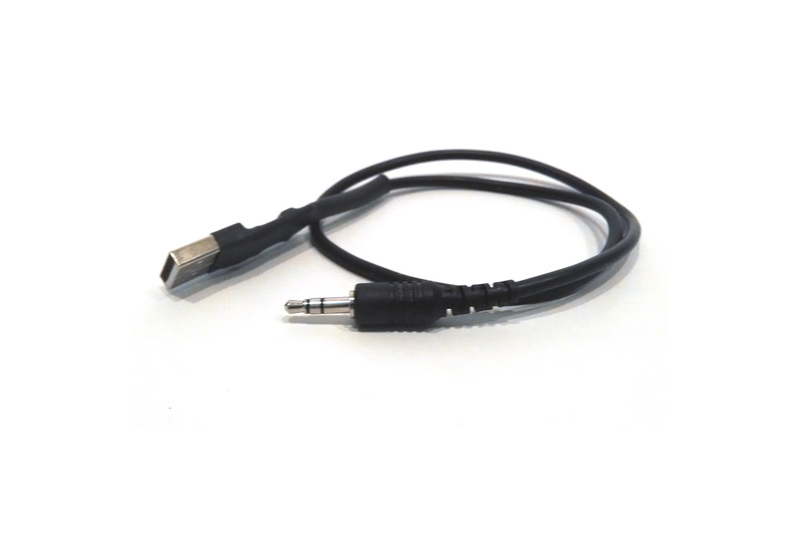 For use in the kit, it is usually used as a transmitter. 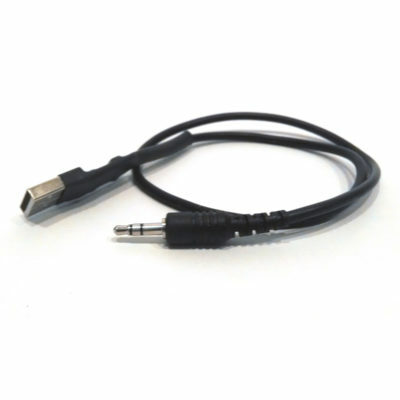 The high-gain antenna delivers reliable performance up to 200′. 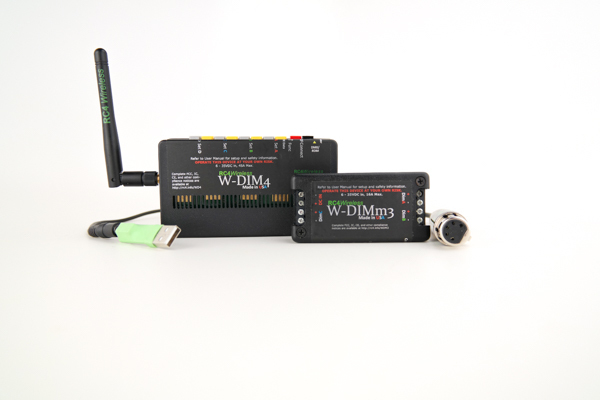 Any number of additional devices in the RC4 LumenDim family can be added at any time. 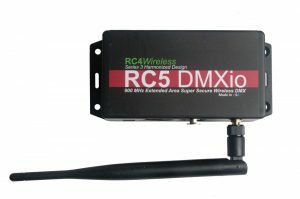 The RC4 LumenDimPix with genuine LumenRadio CRMX inside makes controlling — and creating — with pixel strings fast and easy. 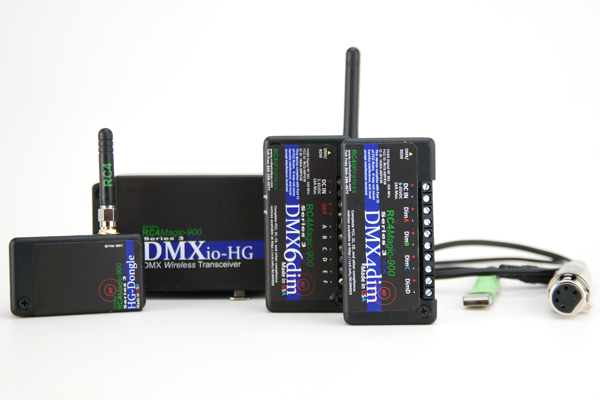 Traditional mapping of DMX to pixel strings consumes vast numbers of channels — a single universe of 512 channels can control only 170 red-green-blue pixels. 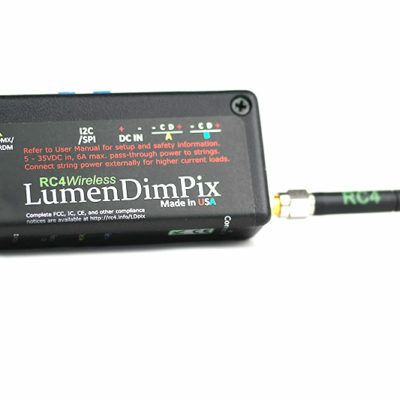 The RC4 LumenDimPix uses RC4 Custom Pixel Profiles™ to deliver the same design versatility and control to designers, while vastly reducing the number of console DMX channels required to render beautiful effects. 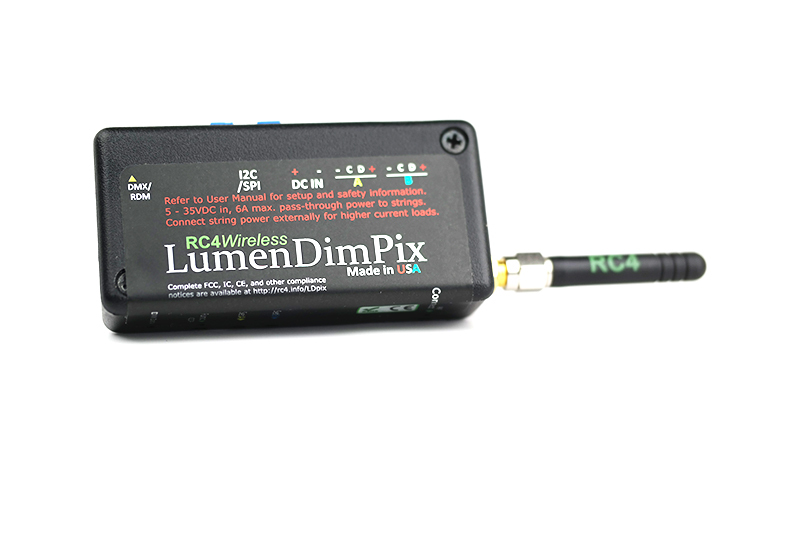 With just one DMX universe — or a fraction of one — the RC4 LumenDimPix generates up to 3000 output channels, for control of 1000 RGB pixels or 750 RGBW pixels. The RC4 LumenDimPix — and all RC4 pixel drivers — uses Keyframing, a RC4 Custom Pixel Profiles™ feature, to create effects using any desired length of pixels. 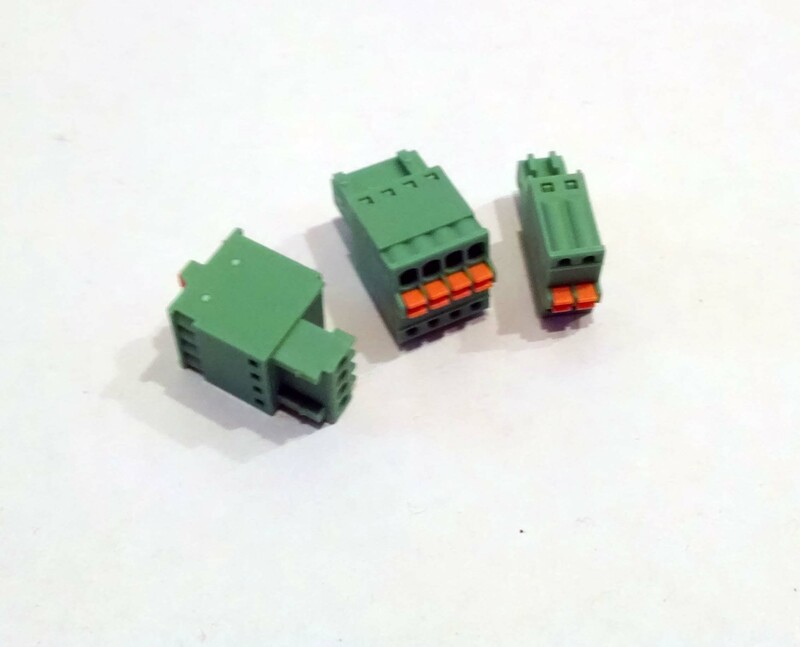 Group multiple LEDs into larger “virtual pixels” if desired, and then tailor how the keyframe propagates down the pixel chain without needing additional DMX channels to do so. 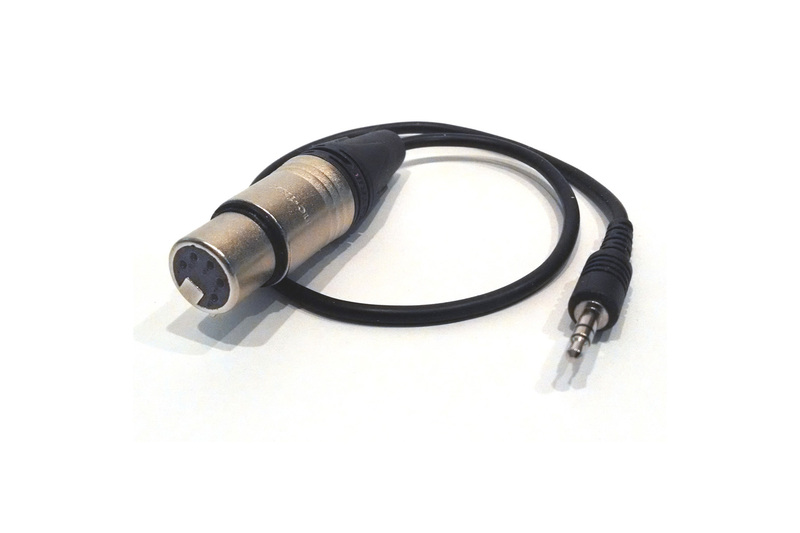 Pattern replication that previously consumed vast numbers of console channels and universes is now done in the LumenDimPix!